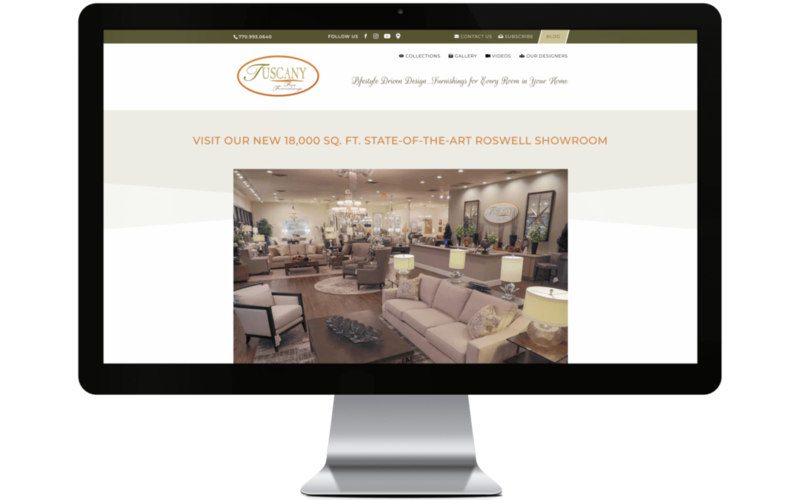 Tuscany Fine Furnishings Launches First New Age Website for Design and Interiors! 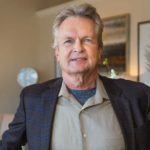 Tuscany Fine Furnishings launches our first New Age Website, to open and celebrate 2019! Our new site focuses on Lifestyle Driven Design…Furnishings for Every Room in Your Home, showcasing our New 18,000 sq. ft., Roswell Showroom and Design Center and featuring 30 individual showcase displays, each personally designed by one or more of our designers. 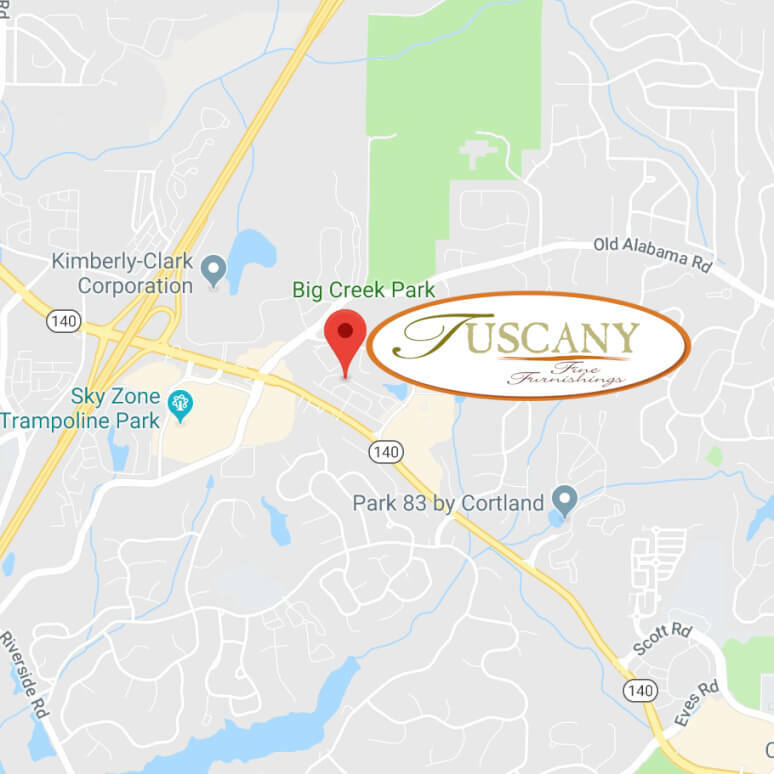 Moreover, shoppers will enjoy real-time updates to our New Age Website from Tuscany’s 15,000+ Facebook shoppers, Instagram, YouTube, and Google Business, ALL now featured on Tuscany’s New Website! In addition, Google Map searches for “Tuscany Fine Furnishings” will display the same real-time furniture and design posts including high definition video and stills of Tuscany’s Showroom, updated every week featuring our New Arrival Collections with each post providing real-time dimensions and our best price points. Our Showroom Showcases are updated weekly with themes ranging from modern, contemporary, mid-century modern, casual, urban, traditional and transitional. Whether you need to furnish and design a small space, a single room or an entire floor of your home or office, our designers have the experience and expertise to handle the job. Become a Tuscany New Website follower today and start benefiting from our daily posts to all of our Social Media Platforms! 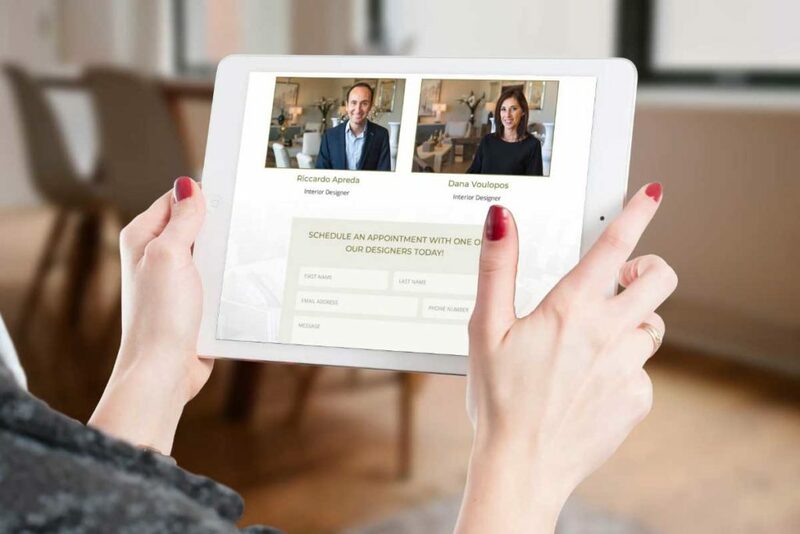 We can now broadcast Flash sales providing online dimensions and price quotes, new arrival collection posts, and many more benefits to help you shop for and select that perfect piece. 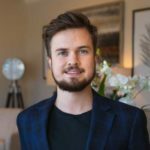 Sign up for our “New Monthly Newsletter” and make sure to regularly check our Website for “New Monthly Blog Posts” by one of our professional designers. Also, check out our “New Collections Page”, now infinitely easier to navigate our top suppliers by Logo Links to peruse all our furniture collections by category, online. When you are ready to come visit, set up an appointment, all from our Website by clicking on our, “New Contact Us Page”, or set up an appointment with one of our designers from our, “New Our Designers Page”. Lastly, Tuscany Fine Furnishings Now offers 12-month no interest financing with our “New Online Credit Applications with instant approval”, located at the bottom of our homepage. 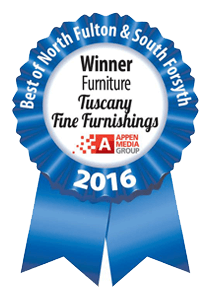 From all of us at Tuscany, we hope TuscanyFineFurnishings.com can make your furniture shopping experience all the better. Kelle McConnell, owner and Kameron McConnell, Social Media Marketing Manager, with Tuscany Fine Furnishings, Offering Lifestyle Driven Design…Furnishings for Every Room in Your Home, 1570 Holcomb Bridge Rd. Suite 315, in Roswell, 770-993-0640 ext. 2, Showroom Hours: Mon-Sat 10-6 p.m. Sun. 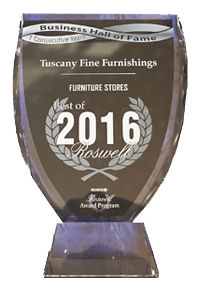 1-5 p.m… See why…15,000 Families Follow and Shop Tuscany on FACEBOOK Everyday!